Hi friends! Just Us Girls has a great photo inspiration challenge going on. 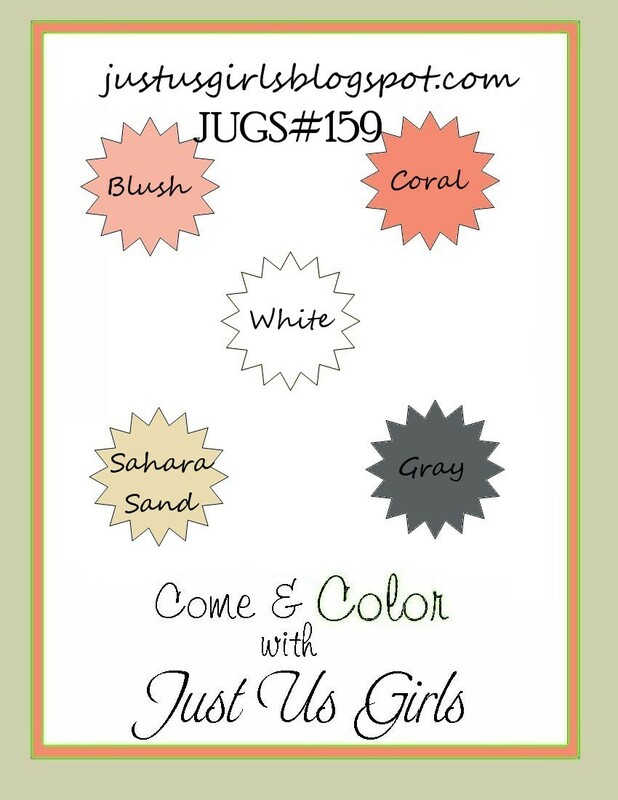 The JUGs design team has some great inspiration for you. Check them out at their blogs. It's Saturday! So happy it's the weekend! And we have a new challenge at Just Us Girls. It's a color challenge brought to us by Marisa. She chose these this great color palette. For some reason my mojo wasn't working when I made this. I tried to color something, but it just wasn't working, so I went with a wordart. This one is from PTI called We Go Together. 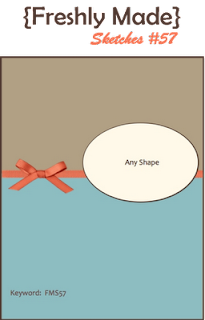 The pattern paper is Carefree from Authentique. 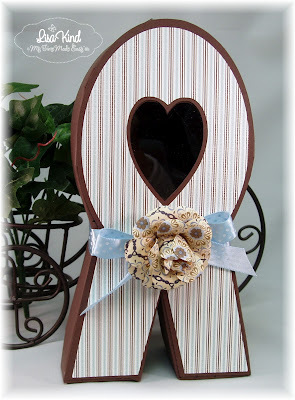 I added some pewter pearls and a basic grey tafetta ribbon. The design team has some great inspiration for you. Check out the team's blogs. Hi there friends! I'm here with another Pretty Palette color challenge. 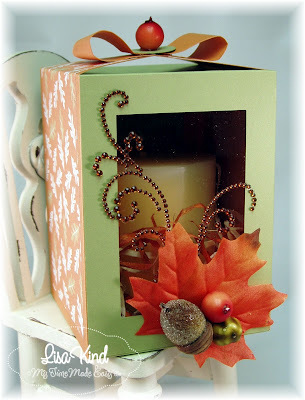 I don't remember what the inspiration was for these colors, but I'm lovin' them! 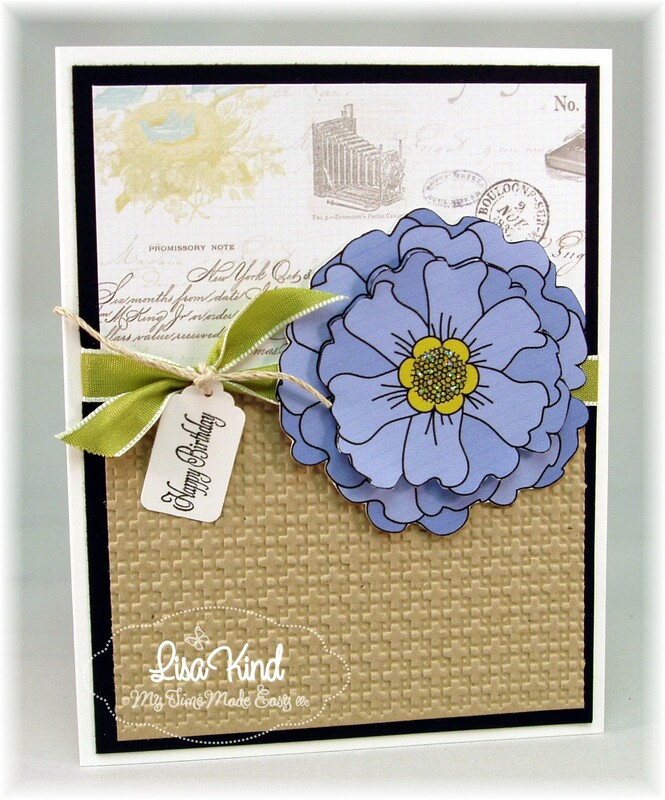 This big, pretty flower is from the Be Dazzled digital stamp set from My Time Made Easy. I colored it in GIMP using the colors from the swatch above. I printed out two of them (wish I had printed three) and cut away part of one so I could layer it on top of the full one. When I was coloring it in GIMP, I created a slightly darker shade of the blueberry so that it had more depth to it. I added some Star Dust Stickles to the center of the flower. The kraft embossed piece I found in my stash. 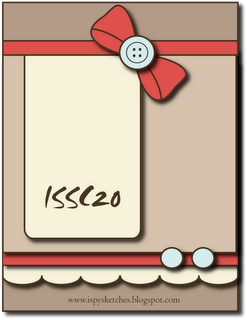 I believe that is an embossing folder from SU, as is the ribbon. The paper is from My Mind's Eye called Moments. 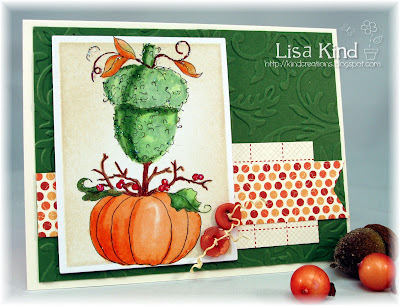 The tag was punched with a Martha Stewart punch and I stamped the sentiment, from Tending the Garden acrylic stamp set (love all those little sentiments in that set...so versatile!) on it and attached it with some twine. All of this was placed onto a black layer and then on some Neenah cardstock. You can see more inspiration using these colors on these blogs. Happy Saturday everyone! 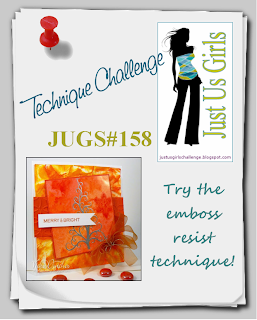 Are you ready for a technique challenge from Just Us Girls? 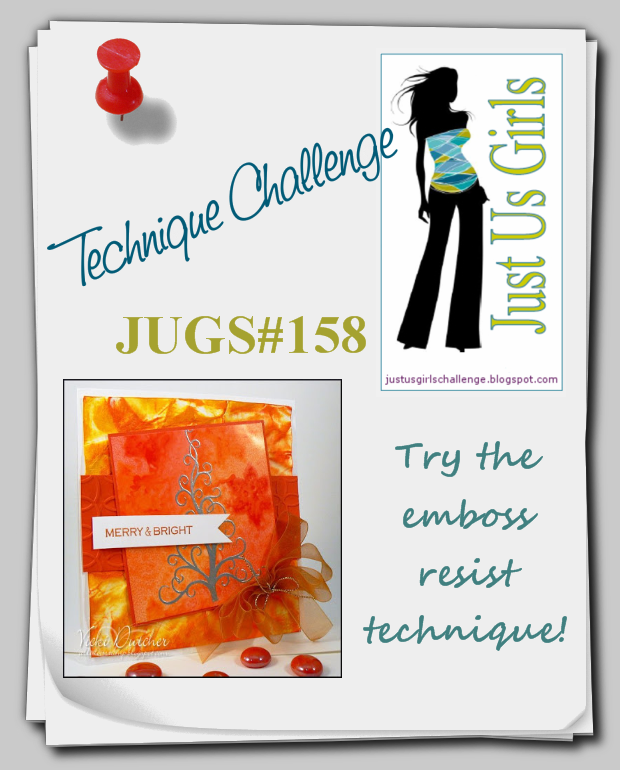 Vicki chose the old but ever so popular Emboss Resist technique. You can find directions for it on SCS here if you've never tried this technique. Check out the design team's cards using this technique. Hi everyone! My niece's birthday is Friday and I made this card for her. 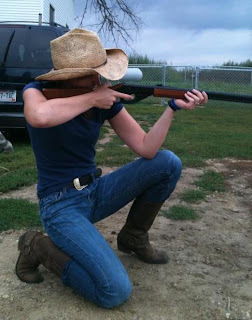 She thinks she's a cowgirl! LOL!! She loves horses, her cowboy boots and hat, cowboy music, and shooting a shotgun! So when I saw this image called Revolver Babe by Nellie Snellen, I had to buy it! She was just too cute to pass up! She's colored with copics, and I added some sparkle with some Spica glitter pens (hard to see in the picture). 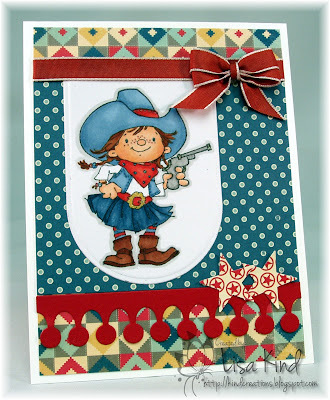 I of course had to use this fabulous October Afternoon paper called Sasparilla for my cowgirl card! Love it! Hi friends! 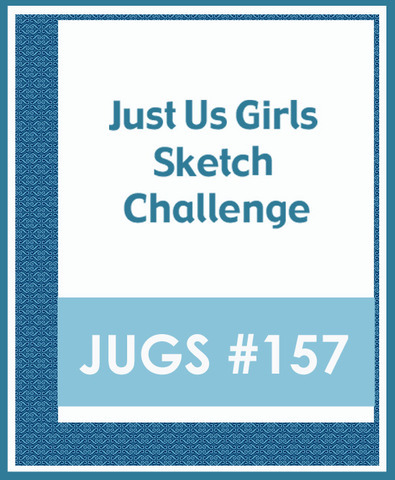 Today over at Just Us Girls, we have a sketch challenge going on. 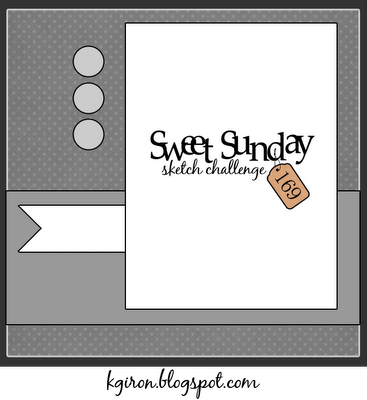 Andrea created this great sketch! Lots of room for interpretation. 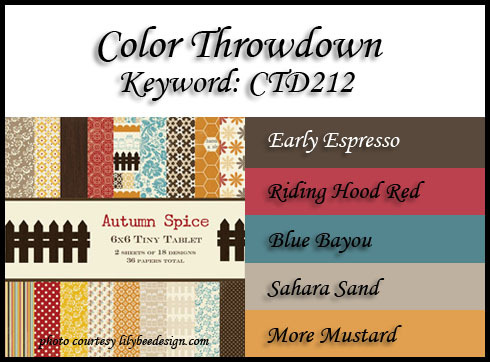 I took a peek at the Color Throwdown challenge to look at their colors this week, and that's where my color inspiration came from (along with the beautiful, colorful leaves here in Western NY). 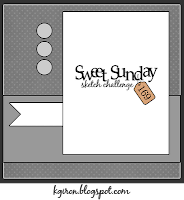 I'm so happy to be playing this challenge. I haven't played in quite a long time! 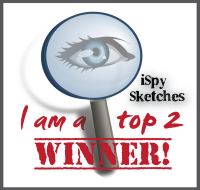 You can see more inspiration using this sketch at these blogs. Stop by and see! Thanks for stopping by! 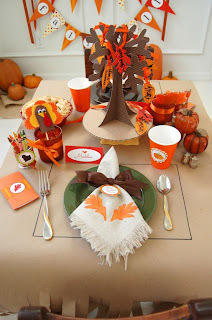 We are celebrating Columbus Day on Monday here in the US, so we have a long weekend! 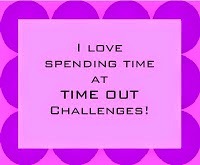 Enjoy your weekend! Hi everyone! 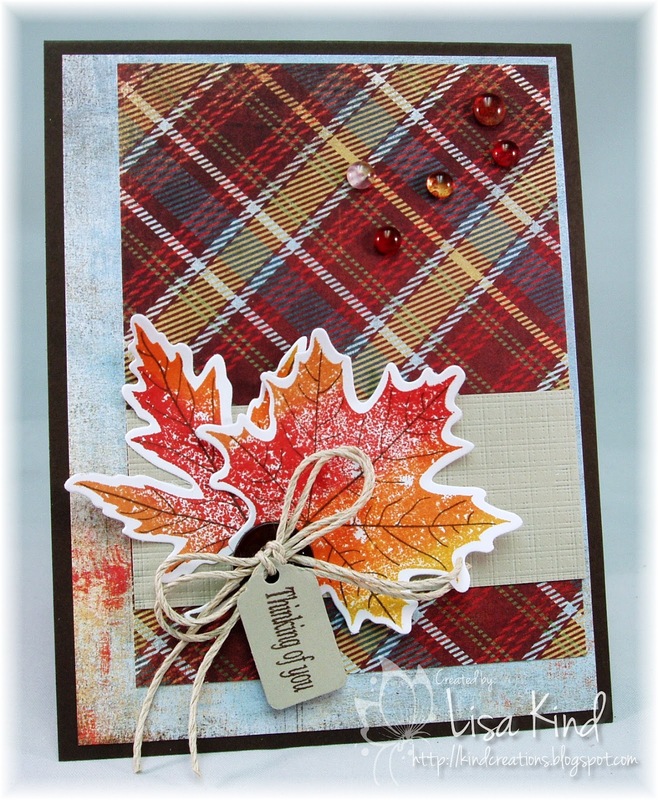 Today is the last day of postings for this month's My Time Made Easy October release. 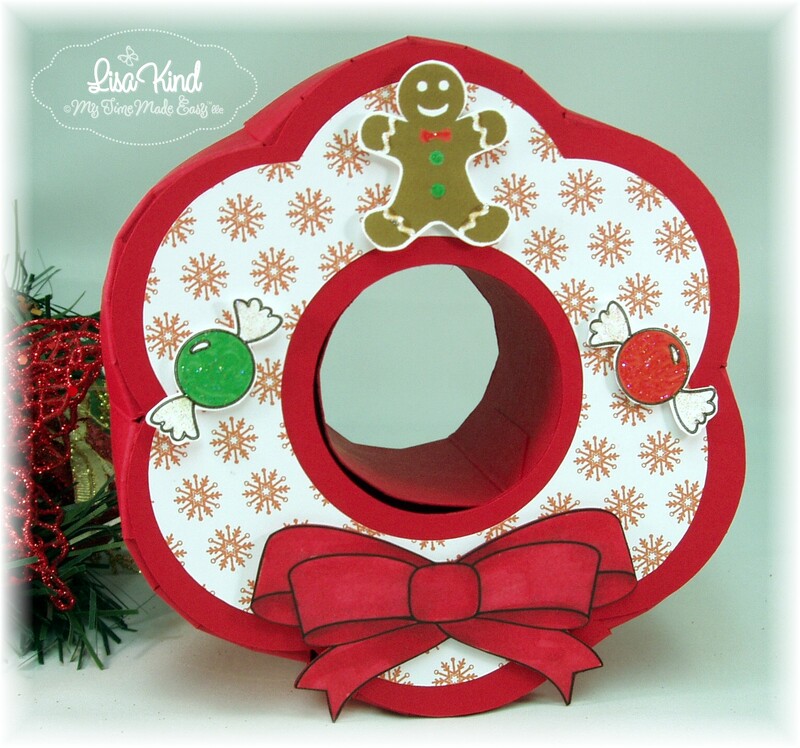 I'm using the new template called Wreath of Wishes. This template sort of reminds me of a bundt pan! Sounds funny, but when you take off the lid, it's got a tube in the middle and looks like a bundt pan! 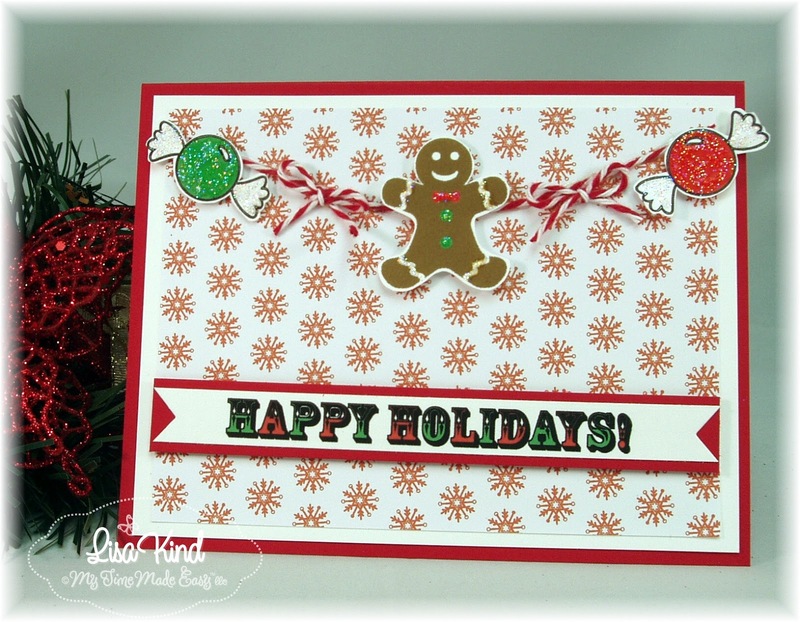 I added the snowflake paper from the new Homemade Holiday digital paper pack. The gingerbread man and bow are images from the new Homemade Holiday Labels digital stamp set and the candies are from the Homemade Holiday digital stamp set. I colored them in GIMP and cut them out. I added star dust stickles to them. The bow was colored with copic markers. The card was made from the same elements as the wreath box. I made sort of a banner from the candies and gingerbread man. 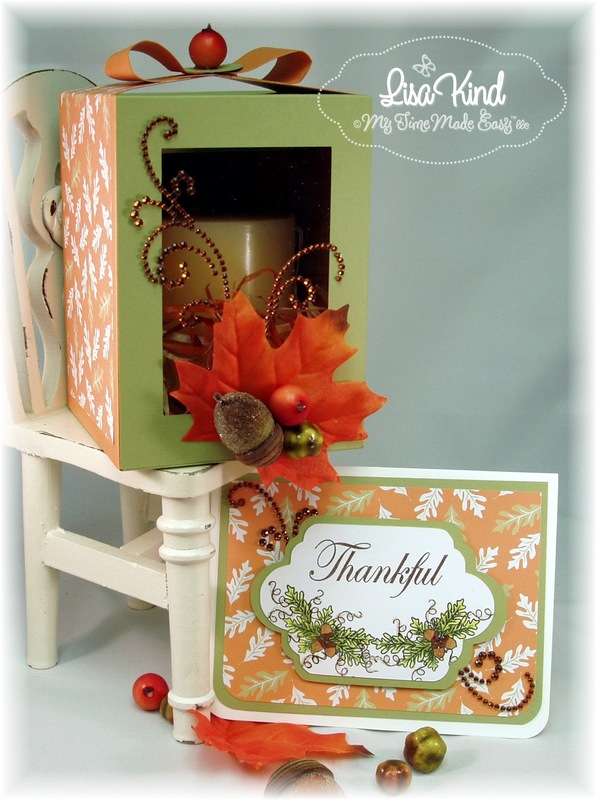 The sentiment is from Homemade Holiday Sentiments digital stamp set. The entire MTME design team is posting today. Here are their blogs. Hi everyone! 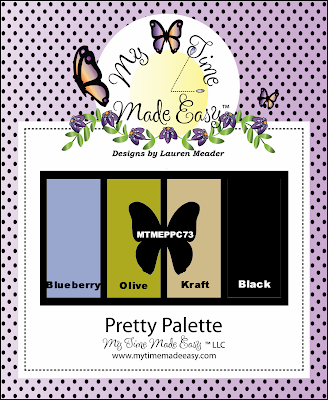 Did you see the new products released yesterday at My Time Made Easy? 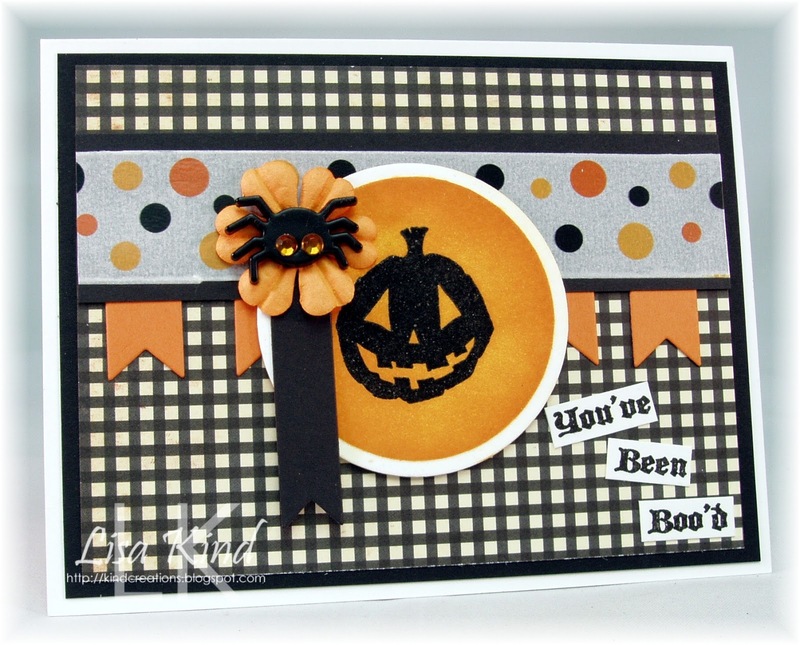 We have four new templates this month! All of them fabulous, of course! We also have five new stamp sets, three cut files, and paper too! Oh my! So much to choose from! Today I'm using the Gifted template with some older products. 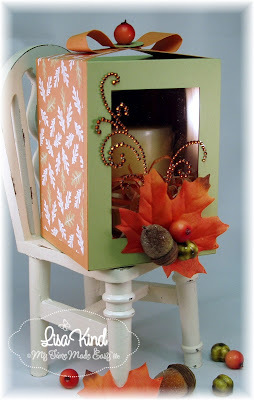 I really felt like making a fall project. The closure for the top of the box that Lauren designed it quite interesting. It's a bow that interlocks so that you can easily open the box. I added one of those little orange things (I don't know what they are!) on top of the bow. 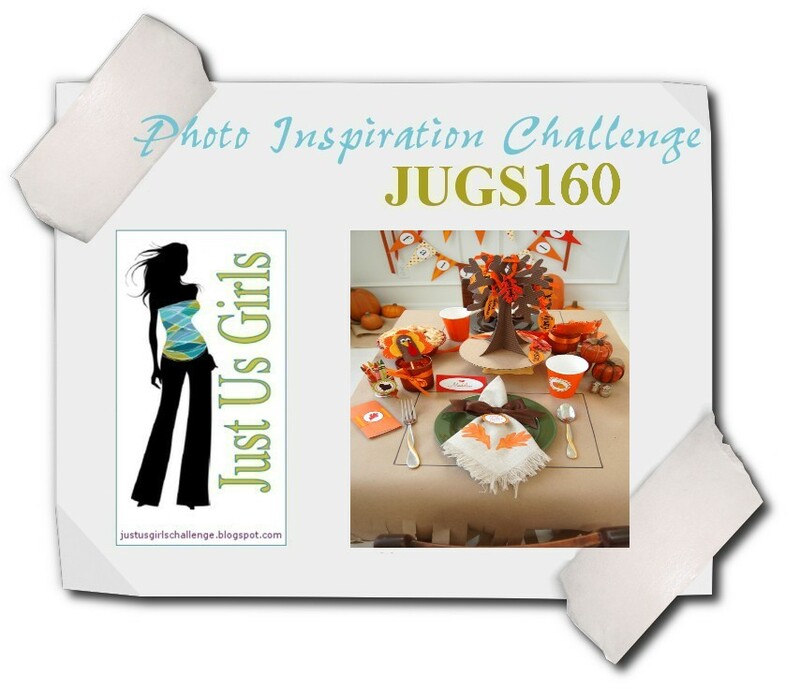 The girls have lots to share today, so make sure you stop by these blogs. Hi there friends! Today is release day at My Time Made Easy and this post is a very emotional one for many of the design team members. Typically in October we celebrate breast cancer awareness, but today we are celebrating awareness of all types of cancer. 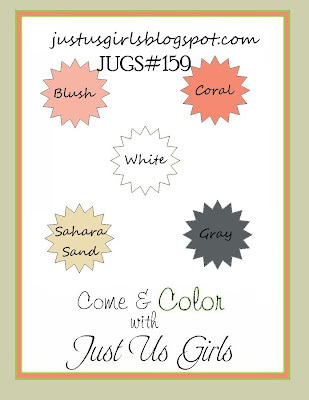 Each of the girls is creating with this new template called I Support You in a color that touches each of their hearts. 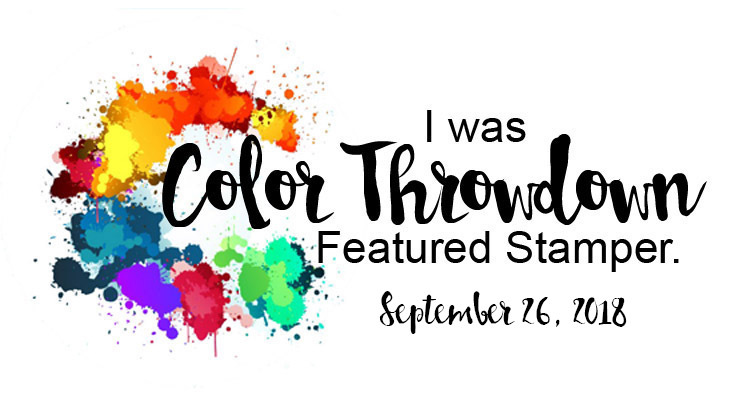 When we were chiming in about the color we were using and the reasons for using that color, we were amazed at how many of us were touched by this terrible disease at some point in our lives. I have a very personal connection with this disease. 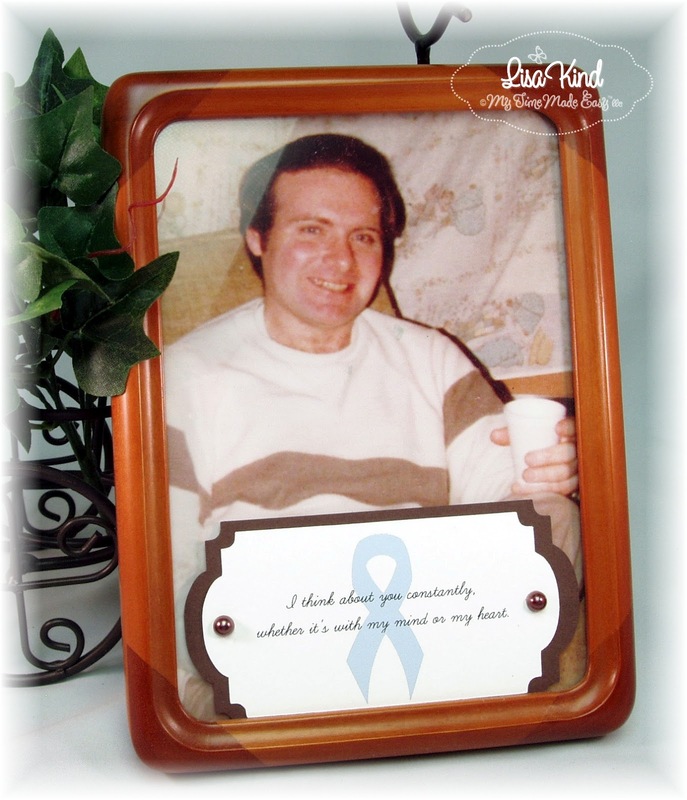 My only brother, Jim (or Jimmy as we always called him) was afflicted with colon cancer that spread to his liver. This disease took his life at the tender age of 46. He left behind three young children. It will be 15 years this November 20 that he left us. When I say he was the nicest guy ever, there wouldn't be one person who knew him who would deny that fact. I miss him terribly and think about him everyday. He was nine years older than me, but we were very close. 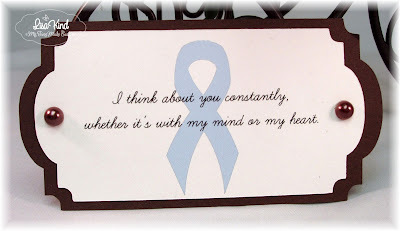 When I looked at the ribbon colors, brown was the color of colon cancer with blue being another color to represent it. So I combined the two. This is probably my favorite color combination anyway! 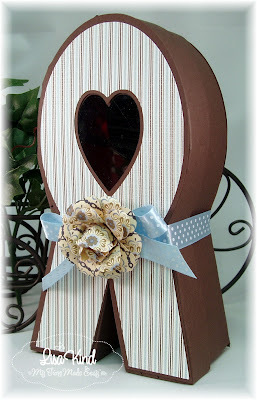 I created the box from chocolate chip cardstock and then added this retired paper from SU called Parisian Breeze. It had the brown and blue colors in it I needed. I tied a blue dotted ribbon around it and added this flower I found in my stash. It was made by a fellow crafter I met at a stamping event this spring. I saved it for future use and it was the perfect accent for my bow. There is a new digital stamp set to﻿ go along with this template called Be Supportive. 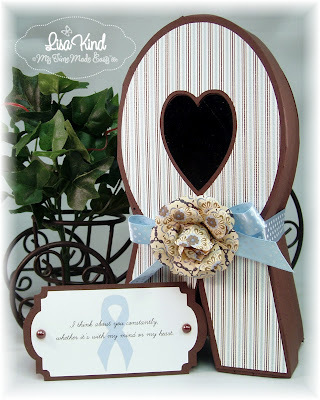 There are so many wonderful sentiments included that cover just about any situation. The ribbon is included in it as well, and I colored it in blue in GIMP and layered this sentiment that was perfect for me when I think about Jimmy. 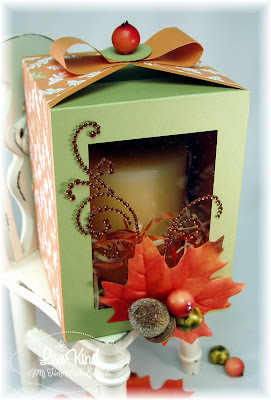 I cut it out using the new cut file called Homemade Labels. 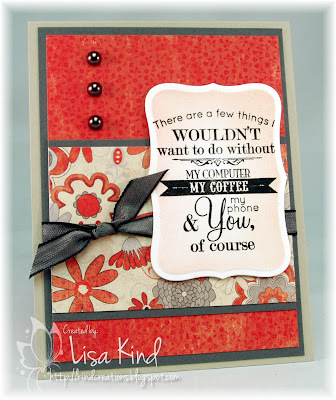 I layered it onto another larger label in the chocolate chip and added the pearls. I didn't make a card for this label because I have a special place for this label. 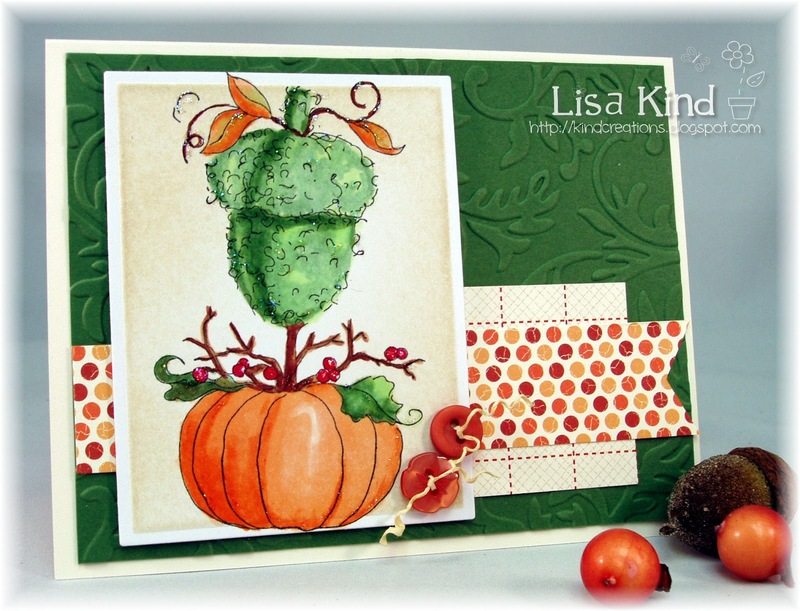 I hope you can stop by the following blogs to see what the other design team members have to share with you. And I also hope you go to the MTME store and purchase some awesome new products! Thanks for stopping by and reading about my story. I hope you have a fabulous day! Give your loved ones a big hug!